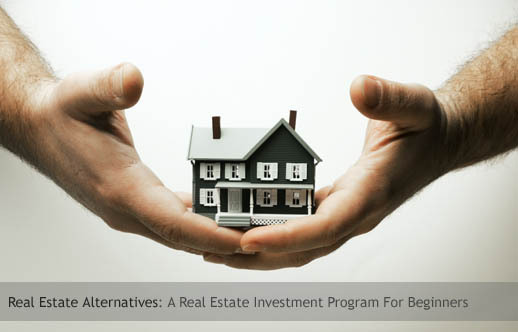 Real Estate investing is easy and fortunes are made in a simple manner. For example, and investor decides that a desert area will eventually become an industrial development. He purchases a number of acres at a very low price. If his guess turns out to be correct, ten years later he sells the land hundred times more than what he paid for it. This can happen in any part of the country and is not an exceptional case. As the population keeps growing, land prices continue to rise and it means that Real Estate will continue to offer one of the best investment opportunities. Compared to most forms of investment, Real Estate offers greater profit potential. Of course, not every piece of land will turn out to be a winner, and despite the great potential rewards in some cases risks are involved, so the necessity of careful study before invest. One of the problems of Real Estate is lack of liquidity. Liquid assists are those easily converted into cash like stocks or bonds. Most Real Estate investments take years before you can make some money, so it is not wise to tie up all your assets in this type of investment. Your financial situation will determine how much you can wisely invest in properties. There is a difference between a land speculator and an investor. A speculator buys land with the intention to make a quick sale and fast profits and will not hold land for a long period of time. An investor, on the other hand, looks for a long time gain, and usually buys only what he can afford to keep for an indefinite period of time. If you are new at this field, it is wise to refrain from any a speculation until you become more informed and you will have to devote considerable time to study and research. It is wise also to consult specialists before you act. Without realizing it, you already made a very successful investment in Real Estate if you bought your own home. Before you look for areas to invest, consider the condition of your own house. If you have any plan for selling it, good landscaping has been known to considerably increase the value of a home. The location of the house is the most important factor to consider. Study the neighborhood, shopping, and transportation facilities. It can also be profitable to lease land for commercial use. Land which borders highway is extremely valuable for purpose such as warehouse, gas station, etc. Before taking any action, study what has been written about the subject. Know why you should and should not buy. Stay conventional and don’t buy white elephants. Look for hidden defects and make the property attractive before offering it for resale. Study local conditions and be sure it is practical. There are always opportunities in Real Estate during good times and bad, but it is up to you to pick and choose only those very best deals, especially during times when it appears that Real Estate values and demand have reached their peak or in times when it is practically impossible for most anyone to get bank loans due to the tight money market or impossible interest rates. You can make big money in Real Estate. keep it up mate, you’re doing an awesome job! At the end of the day if someone benefits from my blog, thats good enough to make my day. Thanks for the info mate, just bookmarked. If you would like to advance your Internet marketing career to the next level, come check-out a forum that has just been opened to the general public. We teach Underground Internet marketing techniques only found in Paid; High Dollar, Black Hat Internet marketing forums. If you’re ready to learn things you’ve probably never thought about, come and have a look! Hope to hear from you soon! Youre not the common website writer, guy. You definitely have got one thing powerful to increase the net. The design is indeed powerful that one could practically make do with being a negative author, but you’re also great at articulating what you have to say. Keep the great work guy!